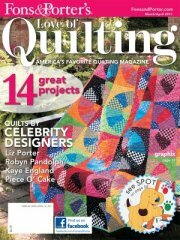 Learn how to easily cut the pieces for this dynamic quilt in Sew Easy: Cutting Triangles and Diamonds. 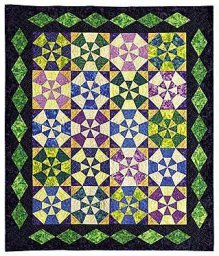 Designer Nancy Mahoney used strip sets of jewel-tone fabrics for the Kaleidoscope blocks in her quilt. 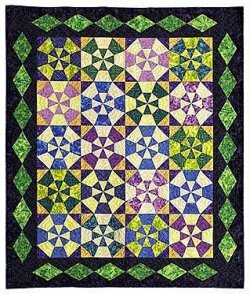 Quilt size is 64 ½” x 76 ½”.